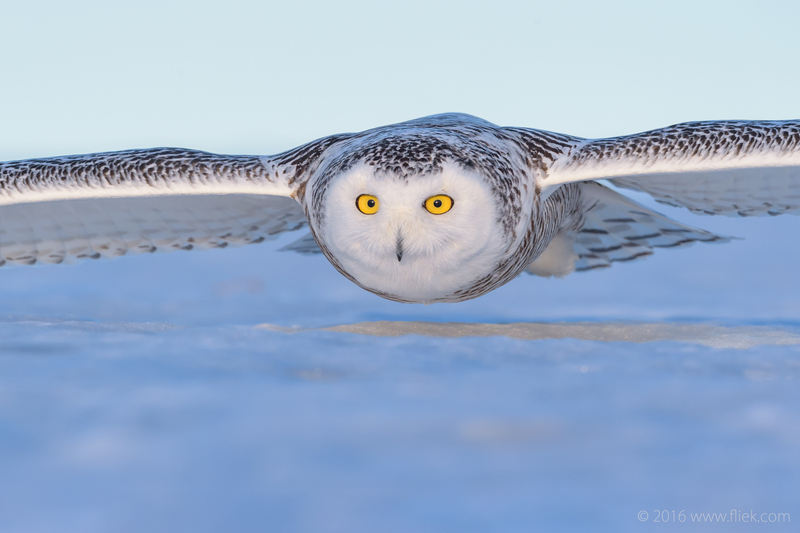 In this last part of my Snow(y) Owls series I’ll write a few words on image editing: a topic that gets a lot of attention on various forums and blogs. Image editing is something completely different from the experience of getting out there into the nature, and preparing yourself for the greatest shot of some wild and beautiful animal somewhere in the middle of nowhere! It’s a very creative, yet quite boring activity: working with your favorite or collection of favorite software programs and somehow retrieve the image at the time of shooting; a nearly impossible task given (1) everyone’s perception is different (and therefore subjective) and (2) DSLRs do not capture images as we see it (for a whole range of reasons). Nikon 600mm f/4 E FL on Nikon D4S, f/4, 1/3200 s., ISO 560, +2.0 exp. corr. With I started with digital photography (in 2009), I tried various image editing software such as Adobe Lightroom, DxO, Nikon’s own ViewNX 2 and CaptureNX 2, and Phase One’s Capture One Pro. ViewNX isn’t too bad if you want to have a quick look at how your RAW files look like, and it produces quite ‘natural’ looking files for further processing. Nikon 600mm f/4 E FL on Nikon D4S, f/8, 1/2500 s., ISO 900, +0.7 exp. corr. During my photography trips I noticed most professional photographers use the ‘simple’ combination of Adobe’s Camera Raw (ACR) and PhotoShop (CC). As I was never impressed with the Adobe’s Lightroom colors I had assumed (Adobe’s) ACR would produce the same -and unsatisfactory- result. And so I continued with a varying combo of ViewNX, Capture One Pro, and PhotoShop CC. Nikon 600mm f/4 E FL on Nikon D4S, f/8, 1/2500 s., ISO 1800, +1.0 exp. corr. 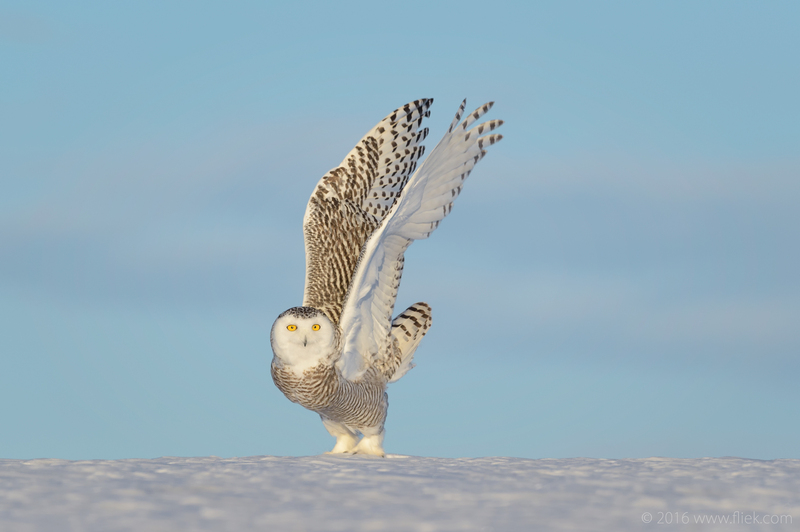 Sometime during the editing of my snowy owl images I decided to give ACR another chance; mostly because I was fed up with Capture One Pro’s lack of lens profiles (e.g. the Nikon 600mm F/4E FL) and ViewNX 2’s lack of proper image editing. Actually I had also tried Nikon’s latest Capture NX-D software not that long ago but there’s something very wrong from a software architecture point of view: it’s slooooow and eats up way too much memory. I’ll just wait for another decade or so before I try that one again . ACR is certainly not as sophisticated as Capture One Pro but I was impressed with its image editing features, and support of (Nikon) lenses (e.g. for correction of vignetting and distortion). Nikon 600mm f/4 E FL on Nikon D4S, f/5.6, 1/2500 s., ISO 900, +2.0 exp. corr. Together with additional PhotoShop add-ins for luminosity masks, which come in handy when editing landscapes, and the Nik software suite, which recently was released free by Google, the combination is a pretty powerful one, and at least at the moment gives me all the tools I need to satisfy my image editing requirements. Nikon 70-200mm f/2.8 G @ 200mm on Nikon D4S, f/5.6, 1/2500 s., ISO 900, +1.0 exp. corr. 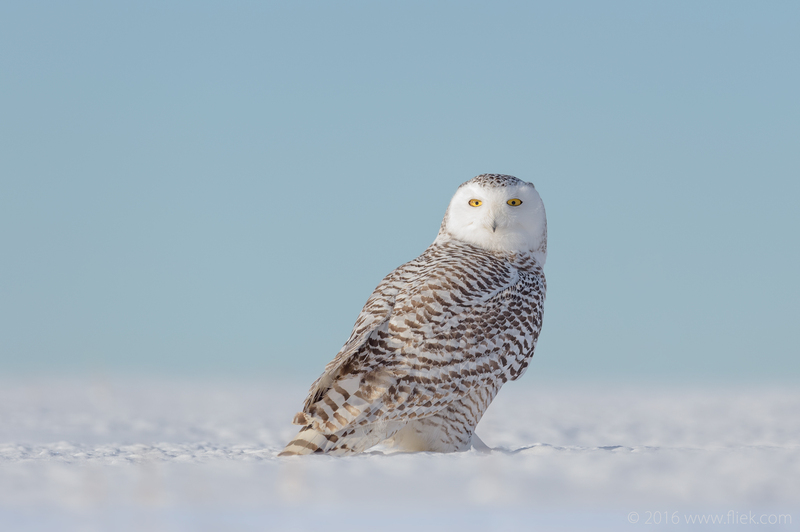 Editing snowy owls brings up quite a few challenges. 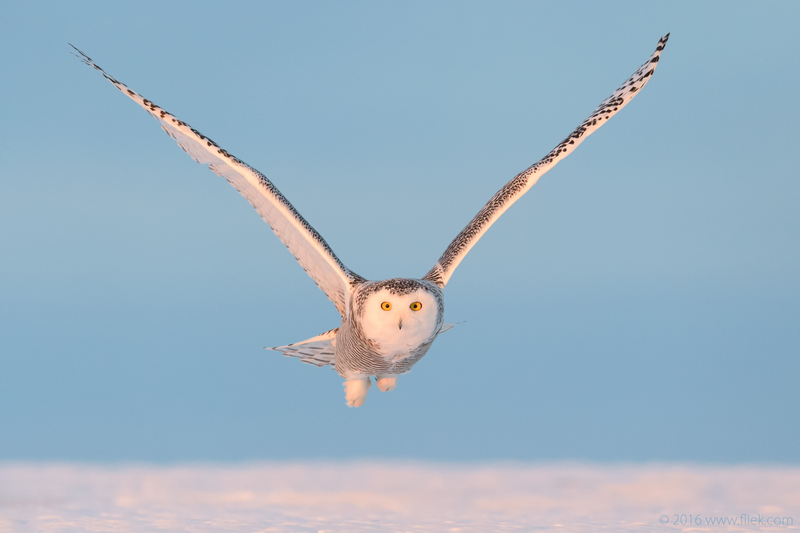 White is not simply white during the course of the day: from sunrise to sunset you’re faced with a whole range of whites, both from the snow and the owl, and your camera’s white balance metering system is usually simply wrong, which means: post-production editing! Each generation of DSLR has improved white balance compared to its predecessor and Nikon’s latest D5 DSLR promises better white balance compared to the ‘current’ (i.e. old) D4S, but I’m sure the journey of improving camera white balance will continue for the next decades. Here’s a typical shot taken just before sunset, where the whites of the snow and the owl are reddish-pink rather than white. Nikon 600mm f/4 E FL on Nikon D4S, f/5.6, 1/2500 s., ISO 8000, +1.0 exp. corr. 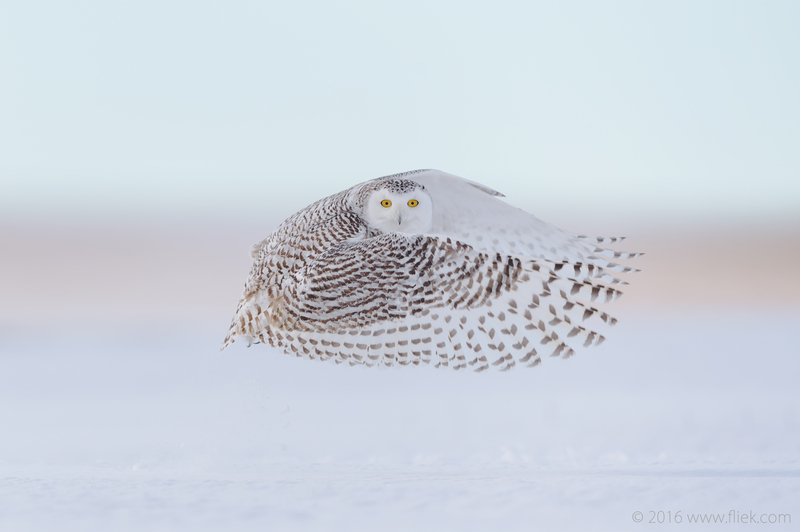 Capturing images of snow(y) owls is an amazing experience; something I hope to repeat again soon. Beautiful pictures again, Henk. It must be quite a thrill to be with a bird like that and capture those kind of photos. Thanks for posting. Actually, and perhaps why I wanted to write a few notes on image editing this time, the moment goes by so quickly when you see the owl flying by: it’s all over in the blink of an eye. It’s only after you check your images later on when you are hopefully lucky in discovering you managed to get a couple of keepers. And transforming your images in something artistically attractive is where the image editing skills & experience come in.